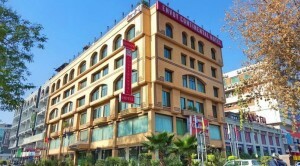 Ramada Hotel Islamabad is a luxury hotel located off Club Road in Islamabad, Pakistan. 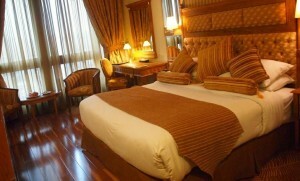 The hotel is in close proximity to Rawal Lake and boasts a roof top restaurant. Free WiFi service is available for guests. 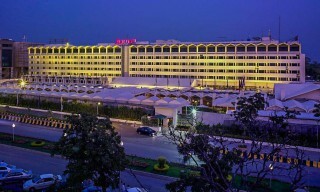 Ramada Islamabad’s soundproofed rooms are fitted with electronic key locks, flat screen TVs with cable service, armchairs, air conditioning units, refrigerators, mini bars, and en-suite bathrooms with bathtubs. Guests can enjoy panoramic views of their surroundings from the balcony.